Sure men and women are very different in many ways. There have been many books written about this, and most therapists will tell you that men and women think differently and act differently in many situations. So it would make sense that this carries over into their gambling habits. Now, there is no way to say anything is 100% true or that it always occurs. But what we’ve observed here and written about is the general rules that we’ve seen and differences that we have noticed between men and women and their gambling habits. In addition, many studies have been done in Australia about these issues, and the results have been incorporated into the thought process here. 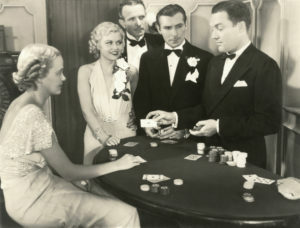 It is seen by most people as more socially acceptable for men to gamble than for women to do so. For this reason, researchers have long noticed that most women answer questions, when asked, that they gamble by themselves at home. They will typically gamble using an online or mobile device and will gamble by themselves. Men, on the other hand, are often seen going to the land-based casino together in pairs or larger groups and will be seen gambling in public locations together. They might even get together for online gambling entertainment, or for a poker round in their home. Women are far less likely to gamble in this way. Female gamblers are more likely to enjoy scratch tickets, bingo, phone or SMS competitions and raffles or sweeps. Male gamblers, in contrast, in much of the researcher, like to enjoy informal betting, table games, horse or greyhound racing and sports betting. They are more likely to want to gamble against other people and to feel the competition, while women are more likely to enjoy the game of chance and to play games that don’t make them feel like they are really playing against other people. They are playing against chance, instead, and not necessarily making their own results happen. It’s probably not a surprise that men bet more than women do in Australia. Most of the research found that gambling men work more hours and make more money than do gambling women. Perhaps this is part of the reason that they spend more. But it could also just be that men are more comfortable spending money and that many women have a more conservative idea about how much they want to spend and how much they are willing to risk. While looking at the gambling differences in men and women, it’s also very interesting to look at the risks that both groups face. Addition is a very real problem and people get addicted to gambling all the time. Do men and women get addicted in the same way, and at the same pace? In a study conducted at the University of Adelaide, the Australian Gambling Research Centre and Swinburne University of Technology in Australia, they found the following. Both men and women display similar signs when they are out of control. They may lie to other people about how much they gamble, they may sneak gamble, they might spend more than they have, they could steal money, etc. But how do they display their out of control tendencies? Women handle the stress associated with addition by being emotional. They might cry or feel depressed when they keep losing or trying to win over and over again. Men, however, get angry and will strike out or even kick a gambling machine when they are losing. This was published in Springer’s Journal of Gambling Studies and is a very interesting field to take a look at and consider. Certainly, these ideas aren’t true for all people at all times. But researchers who have examined large groups of men and large groups of women have found these basic divides in how men and women approach gambling and how they enjoy playing.